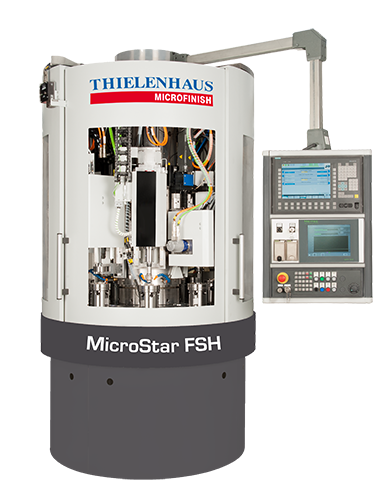 The MicroStar FSH is a highly precise machine tool which can be used to execute several precision machining operations in a single clamping operation. This avoids clamping defects and results in an extremely high level of overall machining quality. 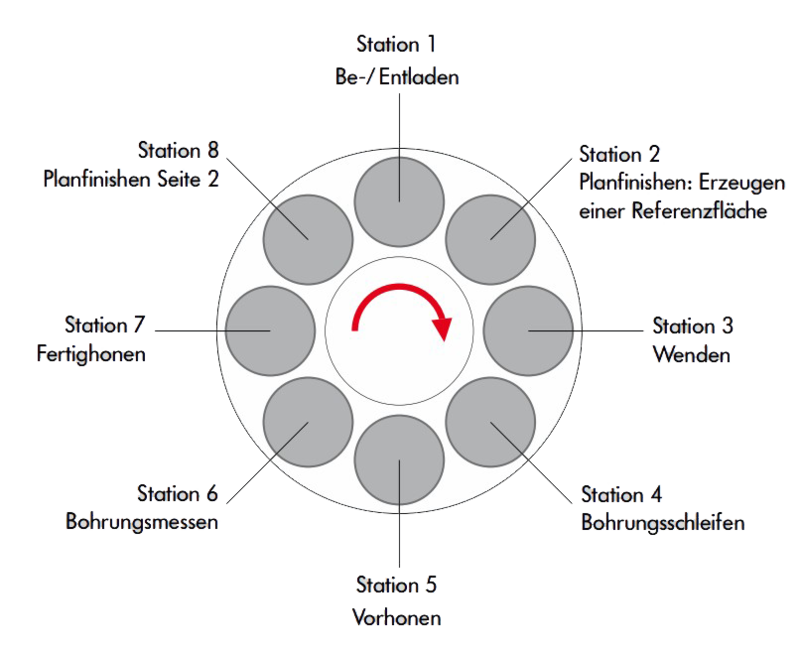 The basis of the machine is a rotary table with eight work piece spindles. All tooling units are installed on the centrally positioned column. Following the creation of a highly precise reference surface on one of the flat sides of the work piece, finishing, measuring, internal grinding and honing operations – to name but a few – can be completed in a single clamping operation. 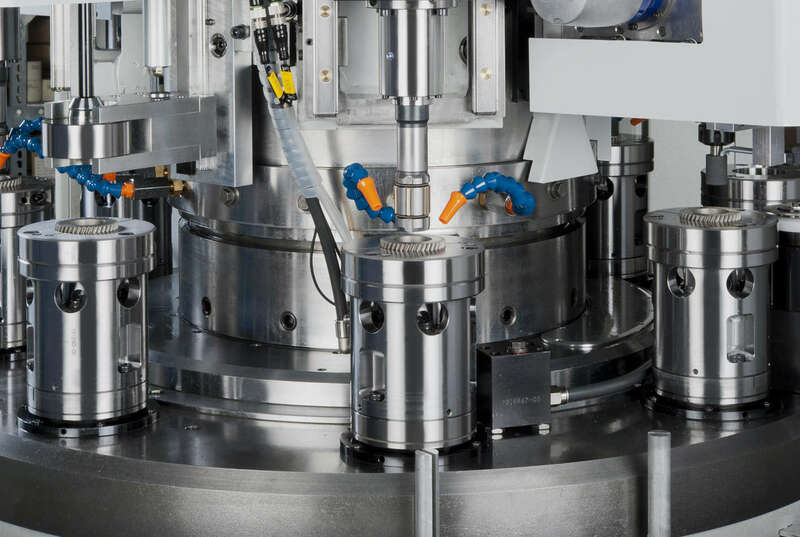 This machine, which was developed in close collaboration with Gehring Technologies – a technology leader in honing – according to the principle “Three processes, two manufacturers, one machine”, thus stands apart.